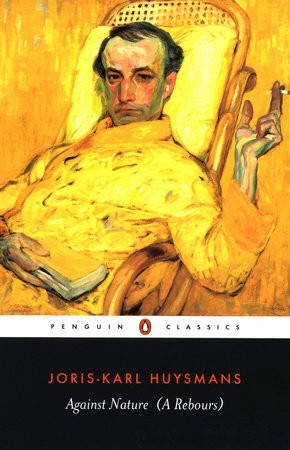 is translated by Robert Baldick with an introduction by Patrick McGuinness in Penguin Classics. A wildly original fin-de-siècle novel, Against Nature contains only one character. Des Esseintes is a decadent, ailing aristocrat who retreats to an isolated villa where her indulges his taste for luxury and excess. Veering between nervous excitability and debilitating ennui, he gluts his aesthetic appetites with classical literature and art, exotic jewels (with which he fatally encrusts the shell of his tortoise), rich perfumes and a kaleidoscope of sensual experiences. Against Nature, in the words of the author, exploded 'like a meteorite' and has enjoyed a cult following to this day.